The Finnish-Swedish mezzo soprano Jenny Carlstedt was born in the Åland Islands and studied at the Guildhall School of Music and Drama in London. She made her highly acclaimed U.S debut in 2015 as Mélisande in Debussy’s Pelléas et Mélisande with Chicago Symphony Orchestra under Esa-Pekka Salonen. Furthermore she sang Idamante at the opening concert of Stuttgart International Festival with Bach-Collegium Stuttgart in autumn 2015. Her most recent CD release with Zemlinsky songs (Ondine 2016) with Lapin Chamber Orchestra under John Storgårds has been very well received by the international critics. During her time as a member of the prestigious ensemble at Frankfurt Opera she developed an extensive repertoire and successfully debuted in numerous roles. A special focus was set on Mozart, including Sesto and Annio (Clemenza di Tito) Idamante (Idomeneo), Dorabella, Cherubino, Don Ramiro (La Finta Giardinera) and Giacinta (La Finta Semplice). However she has also been praised for her warm timbre and her dramatic versatility in various roles ranging from Octavian, Composer, Melisande, Lazuli (L’etoile), The Muse/Nicklausse (Hoffmann) Wellgunde (Ring – which is available on CD & DVD Oehms classic). Titelrole Teseo, Erika (Barber’s Vanessa) to The Fox (the Cunning Little Vixen) with directors and conductors such as Christof Nel, Keith Warner, Hans Neuenfels, Christof Loy (three productions including his award winning Cosi fan tutte) , Sebastian Weigle, Pier Giorgio Morandi, Christian Curnyn, Jonathan Darlington, Paolo Carignani, Carlo Franci, Bertrand de Billy. Parallel she has also sung guest contracts all across Europe, including Dorabella for Glyndebourne Touring, Helsinki, Antwerp and Copenhagen, Annio at Theater an der Wien, Varvara in Basel and Olga in Eugene Onegin at the Royal Opera in Copenhagen, directed by Peter Konwitschny. Last Season’s engagements included role debuts as Mélisande (Pelléas et Mélisande) at the Finnish National Opera, The smith’s Wife at Savonlinna Festival (Sallinen’s Kullervo) and Vlasta in Weinberg’s The Passenger at the Wiener Festspiele 2016. Jenny is also passionate about contemporary music and has taken on parts as Miranda (Adés, The Tempest) Harper Pitt (Angels of America) The smith’s wife (Sallinen’s Kullervo) On the concert stage she has performed with Ensemble Modern in Amsterdam, Matthias Pintscher at Heidelberg Frühling Festival and she sang two world premiers in 2014 with music by Nina Senk in The Festival at Alte Oper Frankfurt and Aulis Sallinen 5 Portraits of Women under Jukka-Pekka Saraste. In 2017 she will be touring with SWR Symphony Orchestra with Music by Luigi Nono. 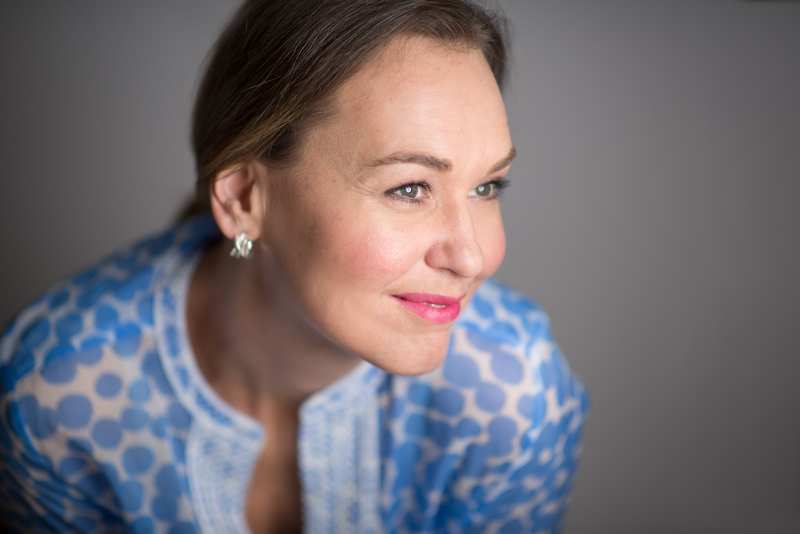 On the concert platform Jenny Carlstedt is also much sought after and has sung the major alto oratorio and orchestra repertoire through Europe. Concert highlights have included Beethoven’s 9th with Hannu Lintu. Sibelius with Singapore Symphony orchestra under Okko Kamu, Mahler’s Rückert Lieder and Das Lied von der Erde with Finnish Radio Symphony Orchestra, Bach’s St Matthew Passion, St John Passion under the baton von Peter Schreier and with Bach-Collegium Stuttgart and Verdi’s Requiem with Philharmonic Chor Köln.